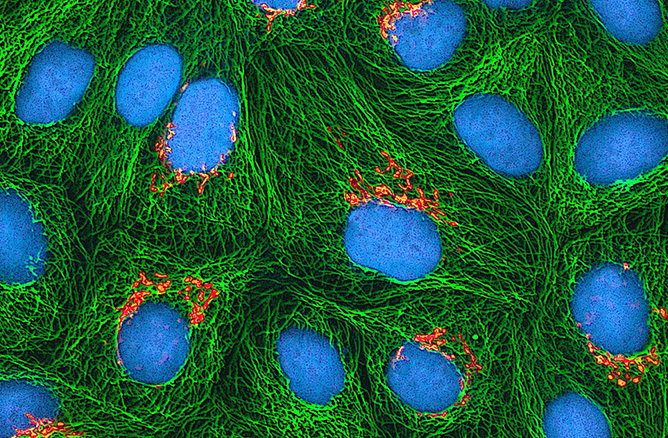 A primary tool for biological research is cell culture, where cells are grown in a medium under controlled conditions such that variations in an external agent can be investigated for effects. The common model of cell culture is defined by four phases or modes, namely lag (relatively no change), logarithmic phase (cell divisions, exponential growth), stationary (relatively no change) and death (opposite of growth but at a different rate). The logarithmic phase is an important indicator of how the cell’s normal growth mechanism is responding to the conditions. This is used to design the experiment and determine scheduled events such as ‘passaging’ time. On one level, there are errors from measurements such as time, temperature and pH and on another level there is uncertainty based on the cell counts or population observations. The cell population project addresses the application of duals arithmetic for error propagation from experimental measurements to cell survival and response significance. This knowledge provides a mechanism for guiding experiments into new effects and in the mass production from engineering cell cultures. Initial work has been completed on the simplest of cell problems to provide convincing demonstration of duals arithmetic without being clouded by too many complexities. This has included calculation of one cell-line during the logarithmic phase to determine times when cell count reaches a specified level or confluence. A more complex situation has been calculated for a cell population being infected by a virus population with an immune response by a population of cytotoxic T-lymphocytes (CTL). This is discussed in more detail in the ‘Medicine’ category.